The EB-5 Immigrant Investor Visa Program is one of the five employment-based (EB) preference programs in the United States. The EB-5 visa provides a method for eligible Immigrant Investors to become lawful permanent residents by investing at least $1,000,000 to finance a business in the United States that will employ at least 10 American workers. Often times these visa holders invest in targeted employment areas such as rural or high unemployment areas because the investment threshold lowers to $500,000. While initially the EB-5 visa holders are issued a conditional green card, after a period of time (given their investment does, in fact, produce 10 new jobs), they are able to apply for a permanent green card. This effectively allows them to become permanent residents. If you have been approved for an EB-5 visa in the coming year, you will need to apply for a conditional green card. A conditional green card is almost the same as a permanent green card, but it must be reissued after two years. 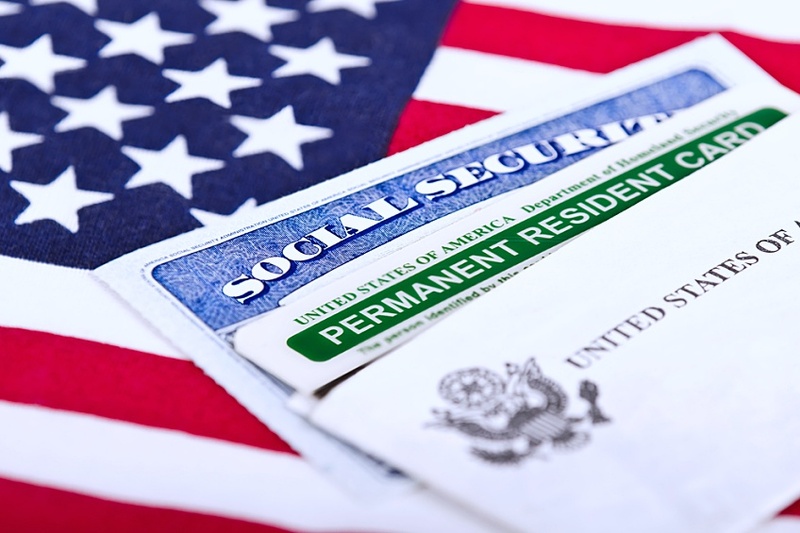 One year and nine months (21 months) into your conditional green card there is a three-month period in which you must file another application with the United States Citizenship and Immigration Services (USCIS). You must file form I-526 Immigrant Petition by Alien Entrepreneur to demonstrate that you have invested or are in the process of investing the required amount of money into an approved EB-5 project. Typically, an Immigration Attorney will prepare this petition for you. You may file this form when you have taken all appropriate measures to make your investment. This is the form where you have to prove that all of the funds used for your investment have been obtained legally. You must provide traceable evidence. You also need to provide proof that your investment will lead to the creation of 10 full-time U.S. jobs. It is also required that you prove you have a policymaking or managerial role at your EB-5 project. If you have invested in a Regional Center that is in the form of a limited partnership or limited liability company, then proving you have voting rights will satisfy this requirement. There is a filing fee for this petition of $1,500. It will probably take 5 to 10 months for USCIS to get back to you about whether or not your petition has been approved. It is possible for them to request more evidence. If you have been approved, you are then eligible to apply for permanent resident status by filing the form I-485 if you are already in the U.S. as a nonimmigrant. 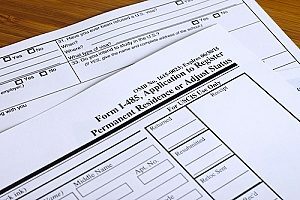 Next, you will have to submit Form I-485 Application to Register Permanent Residence or Adjust Status. Once you have filed your petition, you will be sent an appointment notice for biometrics. USCIS requires that applicants be fingerprinted so that they may conduct a security clearance and criminal background check. They will also require a photograph, signature, and valid form of government-issued photo identification. Approximately 6 to 12 months after filing you will have to attend an adjustment of status interview. At the end of the interview, you will either be told that you have been granted permanent residence, or you will be mailed a notice explaining why your petition or adjustment of status has been denied. Whether or not you can work while waiting for the approval of certain forms can depend on your unique situation. If you have a conditional green card you are allowed to work while waiting for your I-526 and I-485 petitions to be approved. Both forms have specifics about who is allowed to work while waiting for approval or not, so it is always best to check with an immigration attorney to be certain about your situation. While you are waiting for the approval of Form I-526 you are not authorized to work unless you have received work authorization or have a conditional green card. A pending or approved I-526 petition alone does not grant any immigration benefits, including work authorization. While you are waiting for the approval of Form I-485, you are authorized to work if you are in a nonimmigrant status that allows employment or if you have received an employment authorization document (EAD), also referred to as a work permit. While you are filing you I-485 you may also apply for an EAD. If you have invested through an EB-5 Regional Center you are not required to work for it or any of its programs, you may find employment elsewhere if you wish. While going through the process of becoming a permanent resident in the United States, it’s best that you have a licensed immigration attorney to help you through the process. You can reach out to an immigration attorney for more information about your adjustment of status applications and the state of the EB-5 visa moving forward.